Wood has traditionally been the long standing favourite solution for the floors within our homes – authentic, durable, and beautiful. Yet over the course of the most recent years we’ve increasingly worked with clients who’ve opted for luxury vinyl tiles over and above wooden floors. 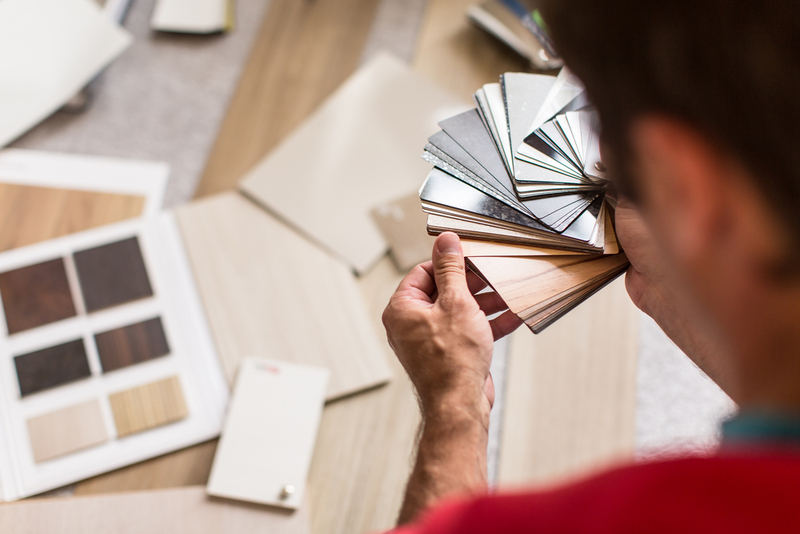 Let’s take a look at why the king of the flooring realm may soon be unseated. The style of luxury vinyl flooring is unrestricted – presenting a staggering array of options in an almost innumerable amount of colours, patterns and shades. By comparison wood is limited by natural colours and grain patterns. Hardwood flooring is robustly durable, however in order to retain its graceful beauty it does require regular upkeep and care. It’s also worth noting that there are only a limited number of applications – and moisture-prone rooms such as the bathroom and kitchen make for unsuitable areas. This contrasts starkly to luxury vinyl tile, which is incredibly tough, demanding little to no maintenance and a versatile number of applications – from the entrance hallway to the high traffic kitchen. Luxury vinyl tiles gain a further upper hand for environmental credentials, as they are typically created from a large proportion of recycled materials. Trees, on the other hand, whilst renewable are suffering from rapid deforestation, and the rate of loss is not being addressed by anywhere near enough replanting programmes. While wooden floors are certainly stunning, this comes at quite the cost, typically between 2 to 3 times more expensive than the options before you in terms of luxury vinyl tiles. You should also consider the time and money that must be spent on wooden floors over the years you enjoy it – this includes treatment materials, if your wooden floors are to have the longest lifespan possible.